Corfiot wine was invariably fizzy, acidic, volatile, and made, for the most part, from phylloxera-infested time-warped vineyards. On this Corfu Nico was born in the year when Romanée-Conti (the lieu-dit) had its first vintage after an absence of seven years with grafted vines. His Irish mother came to a civil-war torn Greece as a volunteer with Save the Children. Nico grew up on the (then) not much changed face of this Ionian island, which enthralled a teenager Gerald Durrell into what later became his classic novel My Family and Other Animals. It was not after conducting an exhaustive study of his native island’s wine that Nico became smitten. His lifelong passion with fine wine began when he moved to London to study hotel management. And it was on a trip to La Mora, Italy in 1976 when he bought a bottle of the career-changing Maurizio Fracassi Barolo 1967. Nico went on to live and work in the wine business for many years in England, France and North America. For the past 20 years Nico has specialized as a commentator on Greek wine. This chapter of his life should be named “Making my life difficult – adventures in the Greek vineyard”. He admits that his quixotic high expectations vs. reality have more than often disappointed him. 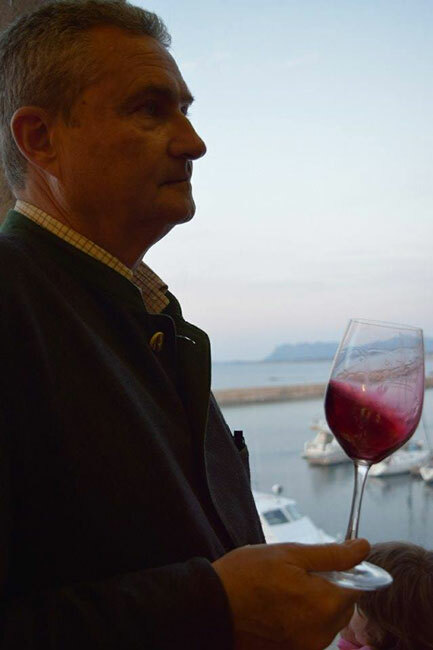 As a true descendant of the “stradioti” Marino Manessi in the service of Venice, he undertakes his wine crusade on the civilized side of “taking no prisoners”. Nico gets much pleasure from reading non-wine books. Loves ethnic music and jazz, enjoys cooking and traveling.